As Bob Dylan sang in his iconic 1965 song, Subterranean Homesick Blues: “You don’t need a weatherman, to know which way the wind blows.” And if you’re an investor, you know that the wind is definitely blowing in the direction of marijuana legalization. But at the same time, the wind propelling the marijuana industry is given to sudden shifts and crosscurrents. The well-coiffed performers on CNBC love to yak about pot stocks, because it keeps viewers glued to the tube. The ability of individual marijuana companies to execute is what really matters. The rest is just… a lot of windy talk. Cronos Group (CSE: CRON, NSDQ: CRON) is a pot stock enjoying considerable media attention. Is Cronos a worthy investment in 2019? Or is it just another hyped-up marijuana stock destined to fail? Let’s examine the company’s financial metrics and market position, to see whether you should buy or shun the stock. Cronos Group (market cap: $6 billion) grows and distributes weed and it’s making forays into medical marijuana development. The company has a 100% ownership position in Peace Naturals, a Canadian company that produces and sells medical marijuana that has consumers in Canada, Germany and Poland. Cronos also owns 21.5% of Whistler Medical Marijuana Company. Based in Toronto, Cronos is in joint ventures with several other companies around the world. Boston-based Ginkgo Bioworks produces cannabinoids for Cronos, which gets a royalty-free and exclusive license for production and commercialization. Cronos also has established low-cost production in Israel. Here’s a brief video on the risks and rewards of investing in marijuana stocks such as Cronos. How Has Cronos Stock Performed? Over the past 12 months, CRON has gained 182.8%, the S&P 500 has gained 8.3%, and the benchmark Horizons Marijuana Life Sciences ETF (HMLSF) has gained 34%. From the time it started trading on the Nasdaq on February 27, 2018 to the end of that year, Cronos gained 36.3% whereas during the same period the S&P 500 lost 8.5%. Cronos Group has many competitors; here are quick snapshots of three prominent ones. Based in Norwood, Mass., Corbus is a Phase III clinical-stage pharmaceutical company. With a market cap of $450.7 million, Corbus specifically works with drugs to treat inflammatory and fibrotic diseases using endocannabinoid system-targeting candidates. The company’s top candidate is Lenabasum, to treat trial patients suffering from systemic sclerosis, cystic fibrosis, dermatomyositis, and lupus. Aurora Cannabis (market cap: $9.2 billion) operates in 22 countries and holds partnership agreements with several drug retail chains for the distribution, sale, and marketing of medical cannabis products. The company (market cap: $14.5 billion) offers its products under the Tweed, Black Label, Spectrum Cannabis, DNA Genetics, Leafs By Snoop, Bedrocan Canada, CraftGrow, and Foria brand names. 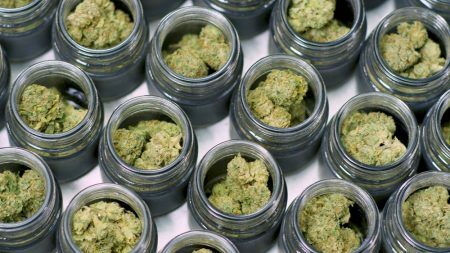 A wide variety of additional firms are crowding the fiercely competitive marijuana space. Cronos hit the jackpot in December 2018, when Altria (NYSE: MO) said it would drop a whopping $1.8 billion equity investment into the company. That gives Altria a 45% stake in the company, with the option to boost it to 55% if it exercises its warrants. Cronos officially closed the deal in March 2019. Altria, the maker of Marlboro cigarettes, won’t take this marijuana venture lightly. The tobacco giant needs a new growth stream because cigarette usage is sharply declining. Altria’s substantial investment already is being put to good use, as Cronos establishes new partnerships and boosts production. Cronos Group’s activities in Israel are especially promising. Cronos’ joint venture of Cronos Israel, with the Israeli agricultural collective, Kibbutz Gan Shmuel, produces, manufactures and distributes medical cannabis. Cronos Israel is expanding manufacturing and growing capacity this year. 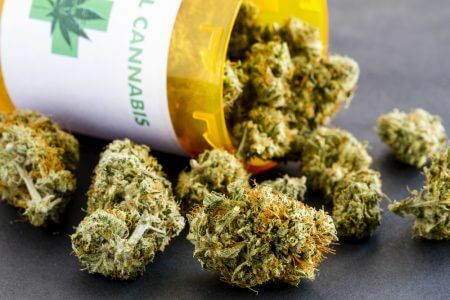 In January 2019, the Israeli government approved the export of medical cannabis from Israel, a potential bonanza for Cronos. The Achilles Heel for Cronos and the entire marijuana industry? Marijuana is simply a plant, which makes it a commodity. When most companies in a single market are selling the same commodity, there’s little to distinguish their products. Price wars erupt; profit margins shrink. Cronos is highly vulnerable to the pressures of commoditization. What’s more, marijuana legalization in the U.S. could face a political backlash. The black market has actually increased in America, as criminals in some states grow marijuana legally, to sell weed illegally in other states. Paradoxically, even amid increasing legalization at the state level, felony marijuana cases are on the upswing. The social conservatives who dominate the White House and U.S. Senate could take notice and launch prohibitive legislation. If the legalization trend slows or stops, most marijuana stocks will tank. And finally, as I’ll explain, Cronos is losing money. The bulls and bears are playing tug-of-war with Cronos. Which side am I on? First, let’s hear more of the bull case. For starters, in my view, the global trend toward marijuana legalization is unstoppable, especially as federal and state governments get accustomed to the tax revenues from marijuana sales. Cronos’ full-year revenue for 2018 came in at C$19.2 million, compared with C$1.8 million in 2017. The big jump in revenue was driven by greater production capacity, the initiation of shipments into the Canadian adult-use market, expansion of the company’s medical client base, and greater cannabis oil sales. That’s the good news. The bad news is, the company racked up a net loss last fiscal year of C$0.11 per share versus a penny profit in the previous year. Cronos consistently misses analysts’ revenue and earnings forecasts. And yet… the company’s market cap is $6 billion. That’s absurd. True, Cronos is flush with Altria’s cash. But Cronos has only managed to establish production in Israel and Australia and distribution networks in Germany and Poland. That’s hardly a comprehensive global network. Cronos still has work cut out for it. In the meantime, I expect consolidation to soon blow through the marijuana industry, like a tornado in a trailer park. You don’t need a weatherman to know that Cronos Group is far too exposed.